The Statement that I refer to as ‘Fifth Mahavakya’ or Fifth Great Aphorism speaks of that particular, specific Individual with Individuality who exists because of yoking or coming together with an entity that is always present, ever-existing addressed as ‘Prabhu’ or LORD God Creator. This Statement gives a sense of direction if man wants to search for God. This Search for God is eloquently stated by India’s Mystic Poet, Guru or Sant Kabir Das(1398 – 1518). Kindly read Kabir Das Bhajan ‘Moko Kahan Dunde re Bande’ which is included in Guru Granth Sahib. 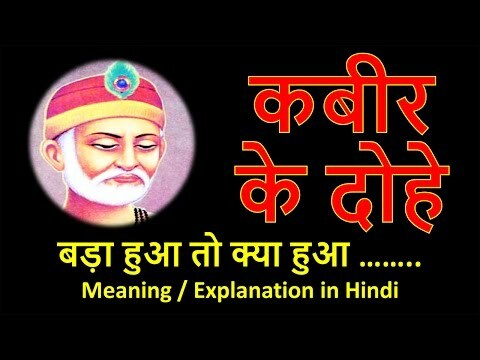 Kabir Das recommends finding God as a Personal God for God is with you. You need not search through Meditation or jap or upavas, or any act of ritualistic worship. You don’t want to search and find God in the vast, outer space or universe. Finding God as personal experience is Indian tradition followed by millions even if they go to temples to offer ritualistic worship. The quest is personal. The experience is personal.